Small and medium enterprises often find themselves with strict budgets and timelines in the first few years of operations. This is normal especially as the playing field is highly competitive in today’s business world. There are hundreds of similar and like-minded organisations being registered, incorporated and formed in Singapore every week. Thus, it becomes some sort of a challenge for these smaller organisations to compete with the big giants which definitely have a better arsenal in continual supply. However, all is not lost as there are things that these SMEs can do to ensure continued survival and impending growth. One thing they can do would be to seek the professional assistance and service of financial and accounting consultants who would be able to provide much added value to the organisation. Most people would think that this is an unnecessary and added expenditure which would most certainly burden the small organisation. However, the opposite holds true as there are more advantages to having professional assistance at the start of business operations. Accounting and financial experts would be able to provide legal information that might not be at the disposal of the smaller firms. They are able to do so because of the wealth of knowledge about programmes, schemes and existing infrastructure in Singapore. Thus, their advice would be more accurate, timely and informational simply because they are in the know about what’s going on in Singapore. Thus, the company directors are able to make better informed decisions simply because they are receiving updated knowledge. Next, such professional accountants and financial services providers do not only provide numerical assistance in the guise of reports and book keeping. They are also able to provide tax services to companies as well. People often mistake tax services as merely providing and filing tax assessments every year. In truth, these accountants are able to maximise savings on the myriad grants, incentives and tax schemes that are accorded by the Singapore government. Due to the fact that governance of these incentives are at an all time high, it is even more imperative that professional help is utilised as penalties can be severe if not done according to the requirements. Singapore corporate tax structure is already low since it is capped at 17%. However, new companies also stand to gain due to the tax rebates given to companies for the first few years of operations. From 2013, the period of time that new organisations are able to enjoy such tax exemption has been increased from the initial 3-year period. Another tax incentive which is highly useful to corporations is the Productivity and Innovative Credit scheme. Companies which apply for and are given approval on certain qualifying activities can then claim tax exemption for such activities. High on the list of qualifying activities are research and development especially for the purpose of new and emerging technology functions. The Singapore government are currently providing much incentive for research on alternative methods of energy creation and renewal. As such, offices which are involved in such developing research methods would be able to enjoy funds from the government. Any company which is able to provide proof that they would be working closely with student research programmes would also be more likely to receive approval under this tax scheme. On the outset, it does seem that these programmes are relatively straightforward and simple to apply for. However, there are various conditions that companies need to meet before they are able to gain approval from the relevant governing authorities. 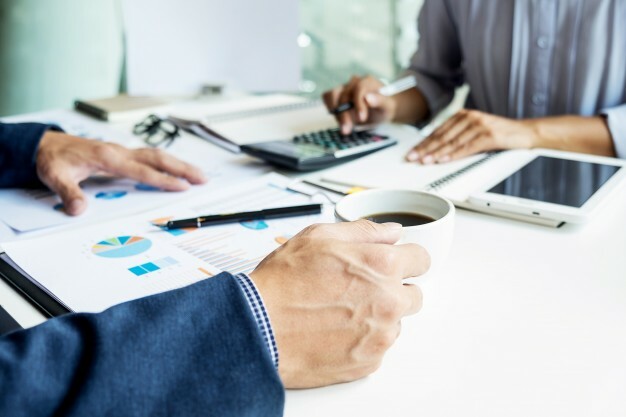 This is the main reason why SMEs stand to gain the most if they are able to gain support from accounting and financial services right from the beginning. Managers who have made this decision from the start find that they are able to focus on the things that matter – decision making and steering the company to achieve its goals. Foreign business owners might also find things slightly different from that of their home country. One main advantage of seeking professional help is that there is a wide variety of services to choose from including secretarial, company formation and tax assessments. For more information on how to capitalise on professional knowledge, contact an accounting service provider today. Over the past 10 years, we have gained vast experience in accounting as well as auditing services. 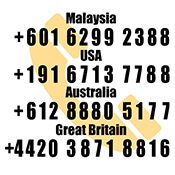 We are CPA Singapore certified company. Paul and Hype Page Co. could be your next one-stop solution provider for incorporating as well as operating your business in Singapore, just as it was for several hundred SMEs in the past.